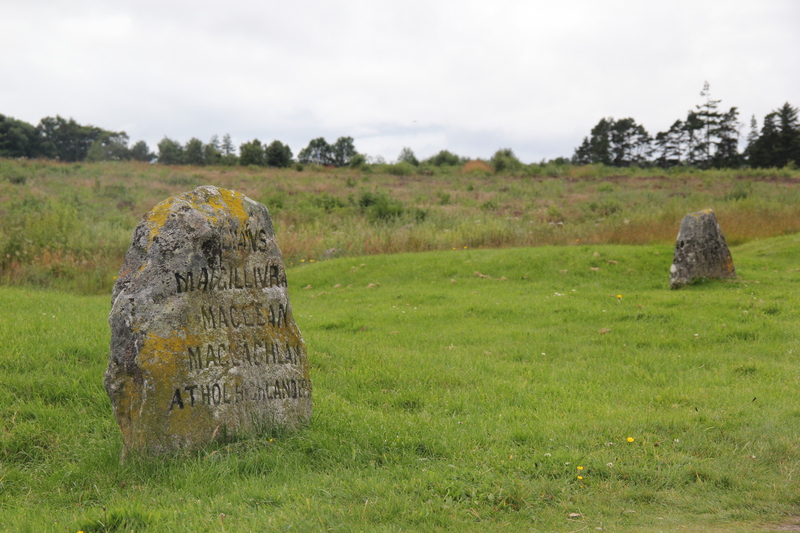 Scotland #7: Defeat at Culloden | Nam Writes. 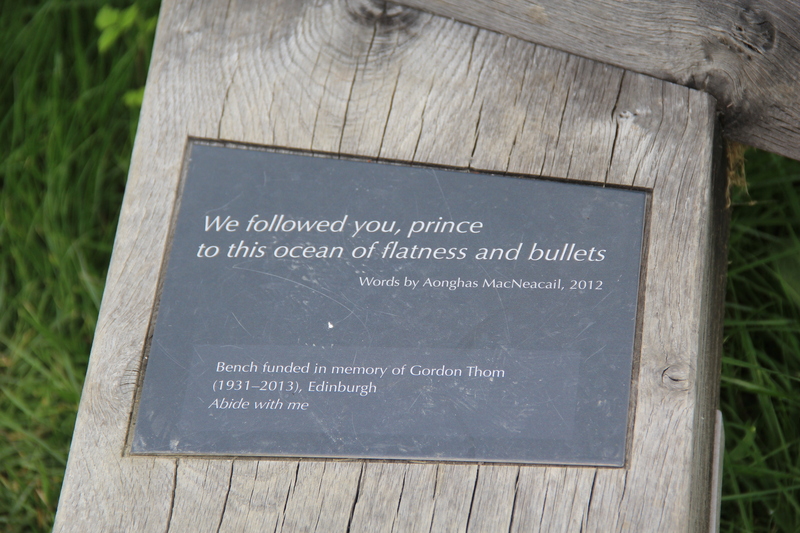 Scotland #1: Welcome to Edinburgh! 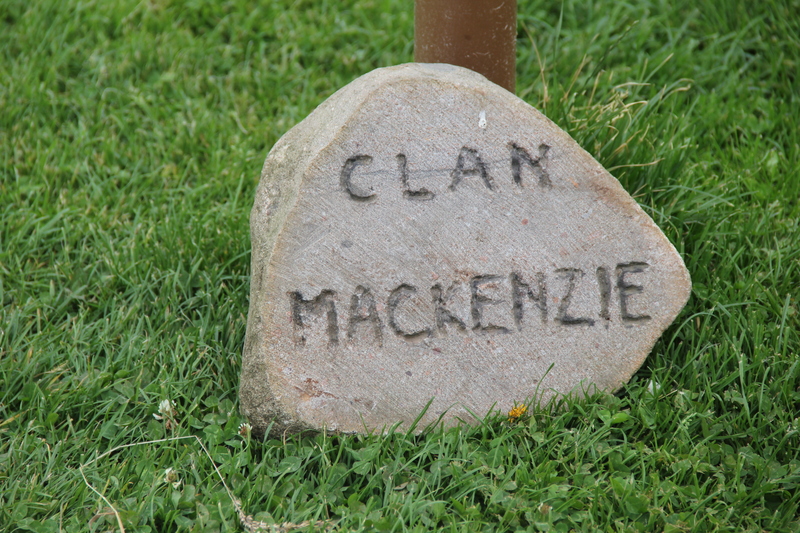 If you’re an Outlander fan (the books or the TV show), this post is for you. I read Outlander in high school and jumped for joy when Starz turned the novels into a TV series. 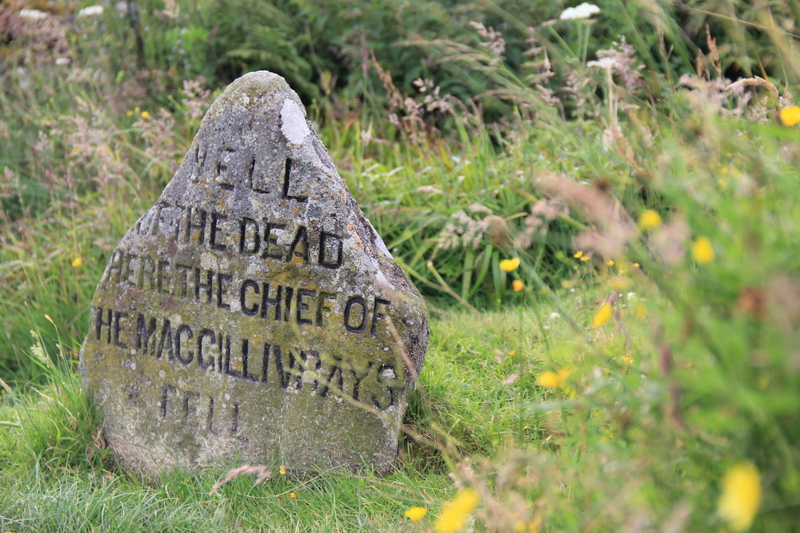 For years, everything I knew about Scottish history came from the Outlander books – sad I know. The first two books center around the Scottish rebellion against the English and the Scots’ unglorious, bloody defeat at Culloden. Throughout the first half of the 18th century, a group of Scottish rebels (or Jacobites as they were called) attempted to overthrow the House of Hanover and restore the House of Stuart to the thrown. They deemed Charles Edward Stuart, a.k.a. the Bonnie Prince Charlie and the great grandson of King James the VI and I, the rightful heir to the Scottish and English thrones. At the time, the Bonnie Prince was safely ensconced in France while the Jacobites gathered funds and French support for their rebellion. In the first book in the Outlander series, Claire Randall accidentally tumbles through time to the year 1743. When she falls in love with an eighteenth century Highlander, she warns Jamie of the defeat to come at Culloden. They hatch a plan to convince the Bonnie Prince Charlie to resist the Jacobites’ call for a leader. 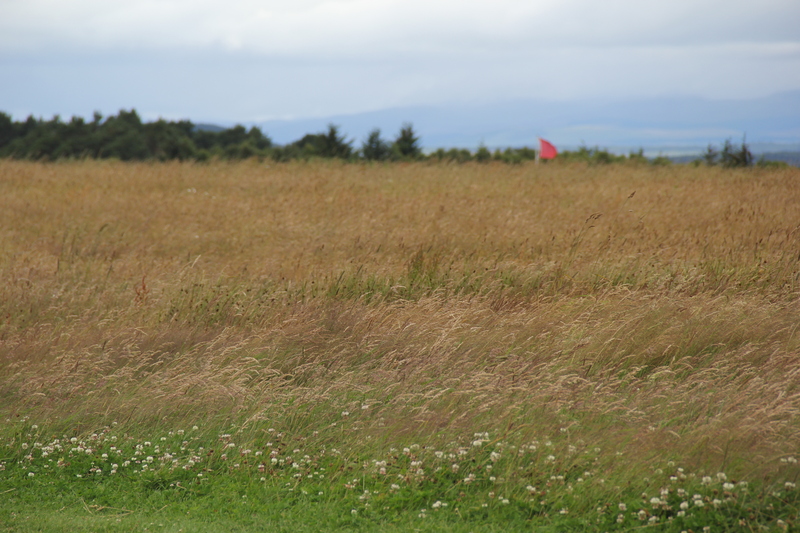 I don’t think I’m spoiling the book when I tell you that their plan failed, and the Scottish dream of independence died on the wide open field of Culloden on April 16, 1746, along with thousands of Jacobite forces . 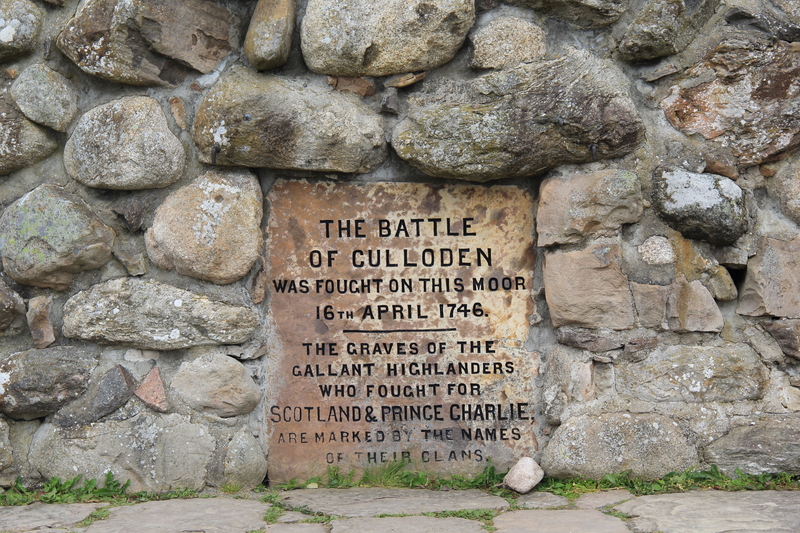 Culloden is located about 10 minutes from Inverness. 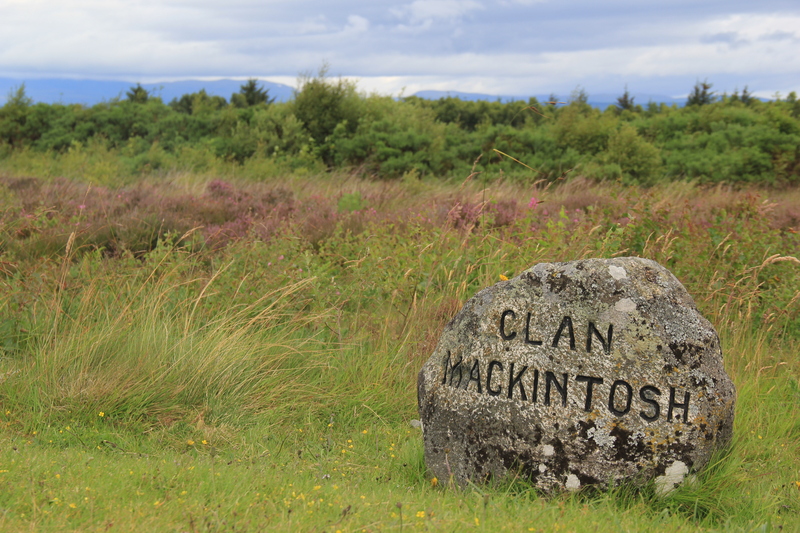 Today, there is a visitor center that explains the history leading up to the Culloden battle and the battle itself. Outside, you can walk through the battlefield while listening to detailed explanations on a handheld device that is triggered by a GPS signal. I thought the museum was very well done, and the walk through the field is a sobering experience. 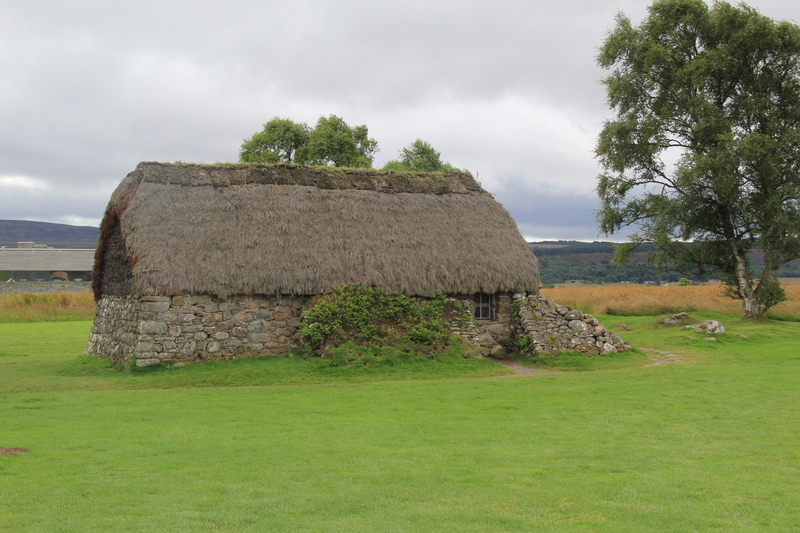 Old Leanach cottage, which survived the battle and has been restored several times over. 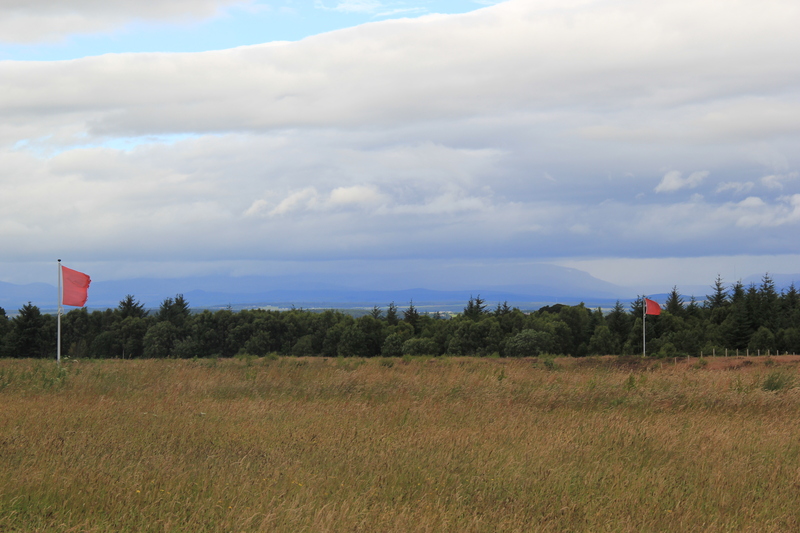 The flags are used to mark where the Scottish (blue) and British (red) forces stood. 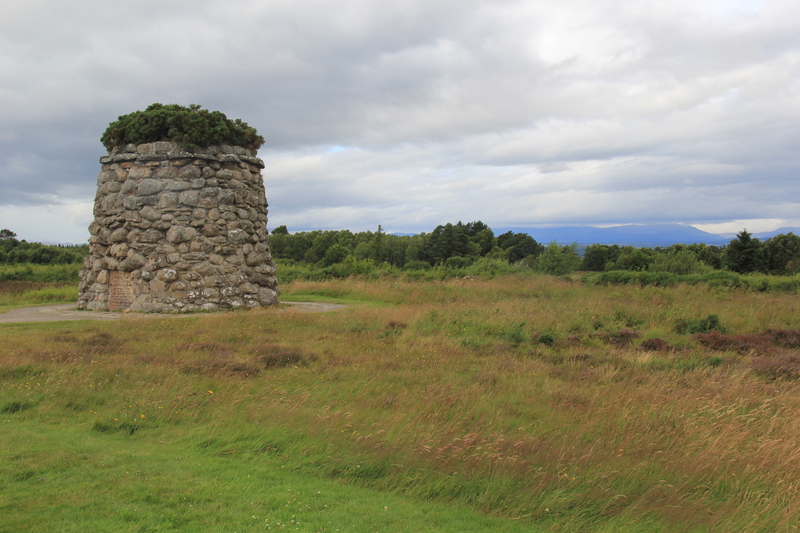 The memorial cairn was built by Duncan Forbes in 1881. 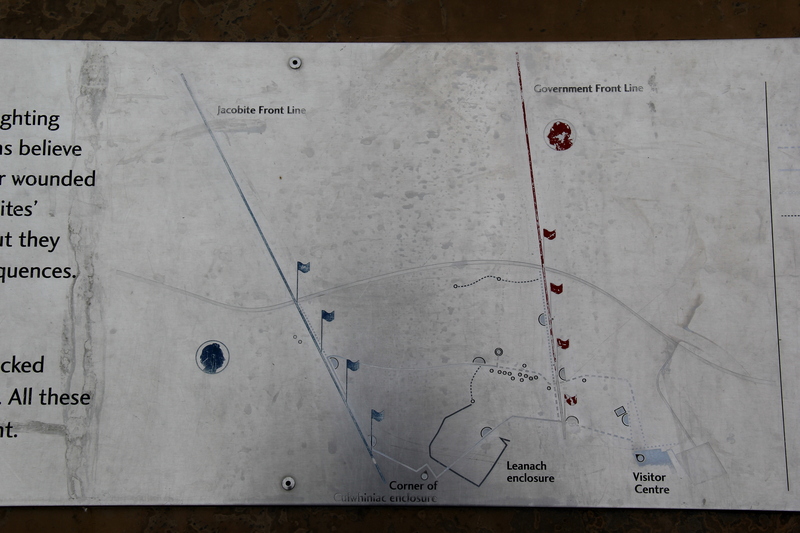 A diagram of the battle lines. 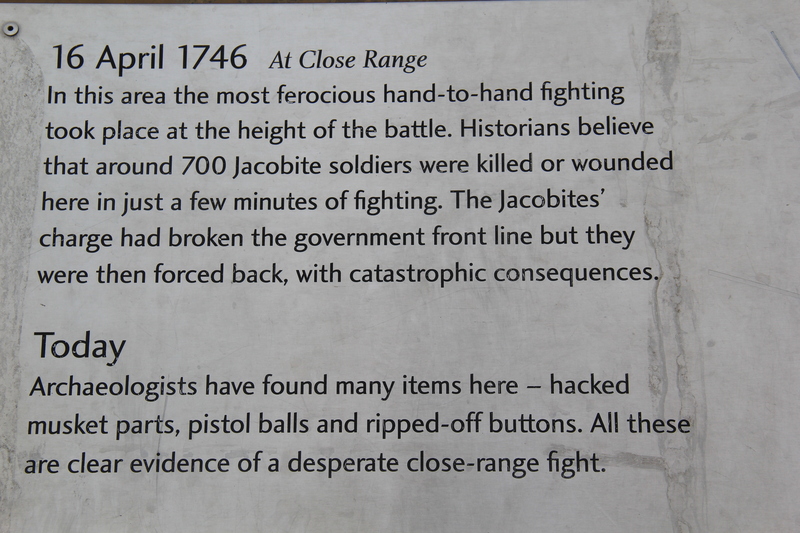 A description on the battlefield. 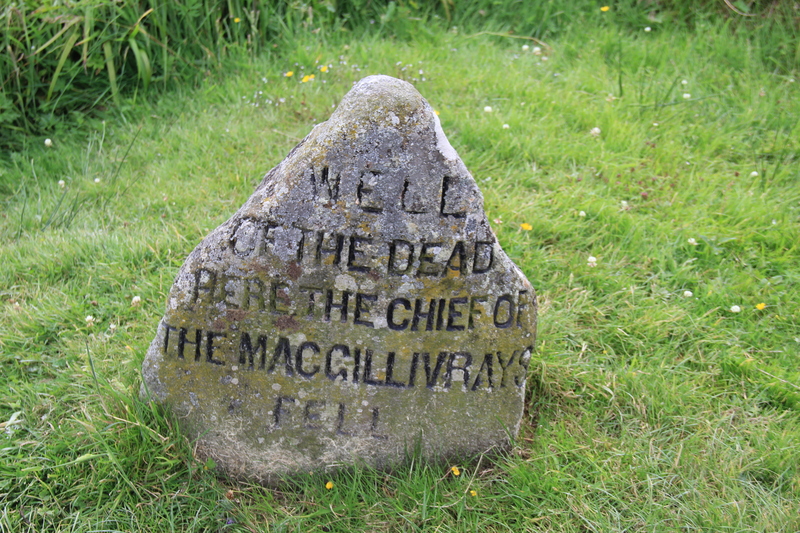 OMG the fact that you have pictures of the MacGillivray marking stones seriously just made my entire day since that’s my last name and most likely a bunch of my ancestors! I can’t wait to visit here someday! I’m so glad. You should definitely go!